New-build home-buyers can now generate a conveyancing quote directly from www.wallacequinn.co.uk/new-build-calculator, twenty four hours a day, seven days a week. By answering a few questions relating to the property they wish to buy, potential clients can now see all conveyancing fees, outlays and taxes in one place. This process takes less than a minute and the quote is generated instantly. The calculator will also allow sales staff on new-build sites to help customers better understand conveyancing charges at the point of home-reservation, meaning no more waiting until Monday morning after a weekend site visit to get information from a solicitor. Over the last few years, Wallace Quinn have established strong relationships with many of the country’s leading home builders and have built a reputation for handling new-build conveyancing with speed, efficiency and attention to detail with a strong customer service. “It is important to stress that while we’re delighted to be recommended by many market leading builders, we are completely independent of them all. We will always act in the interests of our clients and be their advocate throughout the conveyancing process. Digital solutions are a fantastic enhancement to our customer service, but all of our clients will also have a named contact at Wallace Quinn they can speak to at any time. Along with conveyancing fees to purchase new-build property, the calculator can generate conveyancing quotes for selling or part exchanging property. It can factor in costs associated with “Help To Buy” and “Help To Buy ISAs”. 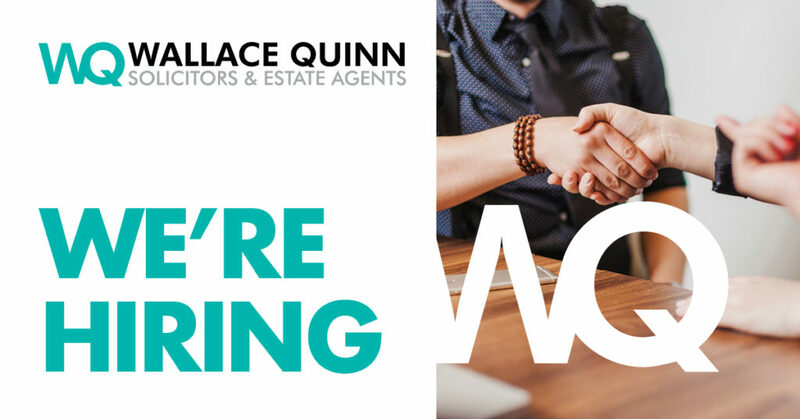 If clients then want to instruct Wallace Quinn to act for them, they can email the information direct to Wallace Quinn and begin the conveyancing process. To try the Wallace Quinn new-build conveyancing calculator for yourself, log onto www.wallacequinn.co.uk/new-build-calculator. The calculator is optimised to work on computers, tablets and smartphones.